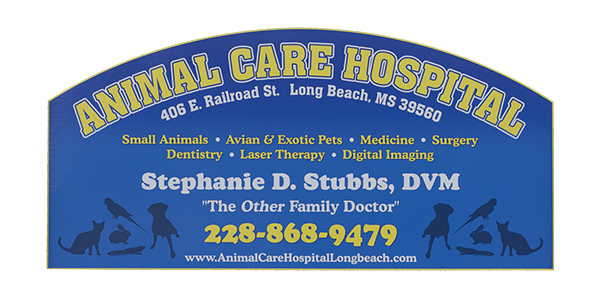 Animal Care Hospital is a full-service veterinary hospital, located in Long Beach, Mississippi. The professional and courteous staff seeks to provide the best possible medical, surgical and dental care for our highly valued clients and patients. Dental care clinic for pets also operates within Animal Care Hospital to provide advanced dentistry procedures such as endodontics, periodontics, orthodontics, prosthodontics, and oral surgery. 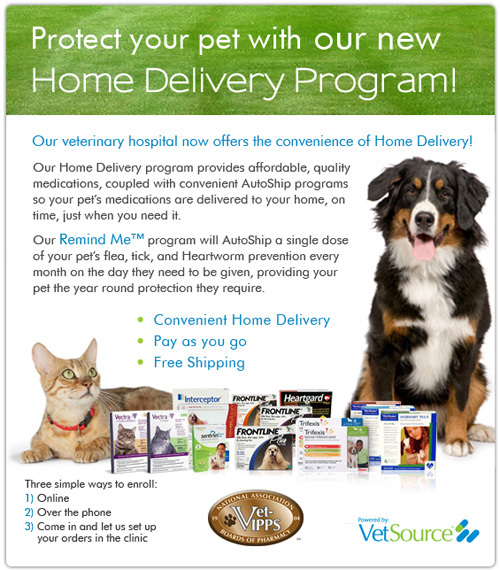 We are committed to providing the best possible medical care for your loving pets. Our hospital is equipped to provide in-house diagnostics to enable us to diagnose and treat your pets' condition quickly and effectively. An outside laboratory is available for those pets requiring advanced testing and evaluation. If we cannot treat your pet at our facility we will gladly refer you to a specialist for advanced treatment such as oncology, orthopedic surgery, endoscopy and ultrasonography. Please contact us today to learn more about our veterinary practice and to find out more information about how Animal Care Hospital can serve your needs and those of your pet. On Saturday, September 8, Animal Care Hospital of Long Beach will be holding a low-cost Rabies Vaccine & Microchip Clinic. From 8am until 12pm, bring your pet to our hospital to have your pet vaccinated and microchipped at the cost of only $10 for the rabies vaccine and $15 for the microchip! Please call Animal Care Hospital for more information. Animal Care Hospital is happy to announce the addition of our new groomer starting Monday, January 15! From nail trims and puppy cuts to bathing and treating your pet for special skin conditions, our groomer can help your pet look and feel their best. Appointments are limited and are filling up fast! Call our office today to make an appointment! Welcome to Animal Care Hospital! Below is a link to our New Client Information sheet. To save time on your first appointment, please print and fill out the information sheet and bring it in when you come in for your first appointment. If you have any questions, please call our clinic. Thank you!